The Jaquet Droz signature timepiece gets a rethink with the new Grande Seconde Skelet-One. One thing about Jaquet Droz timepieces is that they’re instantly recognisable. With their off-centre dials, oversized sub-seconds register and exquisite finish, they exude a quirky-yet-elegant personality, rather like an eccentric-yet-aristocratic friend who doesn’t mind mixing it up with a more bohemian and modern crowd. The timepiece is just the right mix of tradition infused with a modern sensibility. So what to make of the Grande Seconde Skelet-One, the brand’s new iteration of its classic piece? The new piece clearly has the Jaquet Droz DNA while having unique features that make one sit up and take notice. For instance, the dramatic transparent movement is a departure from the usual look and something that most collectors will love. It pushes the brand in a totally new direction, while still retaining its uniqueness. The sub-dials are made of thin sheets of sapphire, which also makes this version special. The Grand Seconde Skelet-One marks a stylistic turning point, just in time for the brand’s 280th anniversary celebrations. The new version was intended to make the iconic watch more transparent, to shine a light, if you will on the deepest reaches of the Grande Seconde, while preserving the figure “8” shape that is its signature. Thus, the new version still maintains the uncluttered look of the dial, distinguished by the hours and minutes counter with Roman numerals balanced by a large seconds counter with Arabic numerals. What really sets this new version apart is the transparency, which is a first for the brand, giving ample breathing space to the time indications. This results in breathtakingly beautiful surfaces that make use of the space to highlight the time indications. 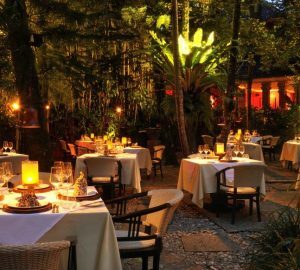 Because of the space, the hours, minutes and seconds stand out, giving the whole look an impression of floating and lightness. Complementing the skeleton movement, which is constructed in successive layers, is the sapphire dial. 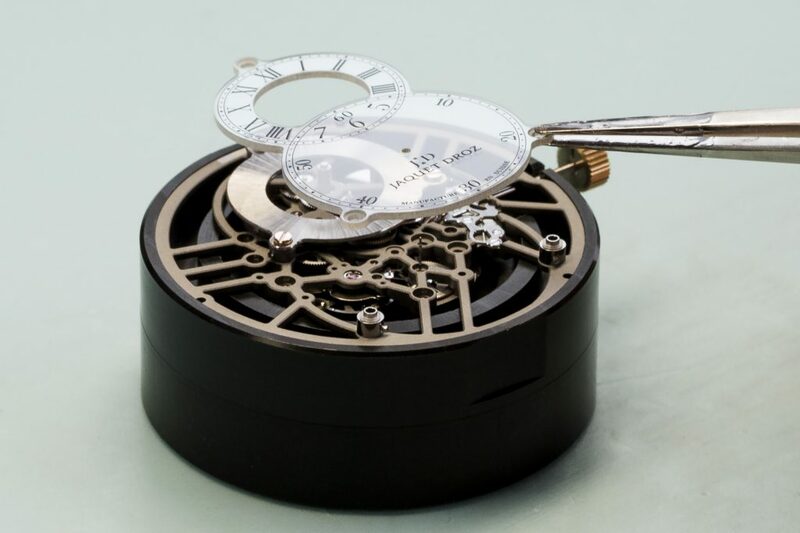 This version has an open-worked plate, while the casting circle has been eliminated, giving the watch a more open composition. Also open-worked is the oscillating weight in gold, allowing light to diffuse freely into the heart of the movement. At 12 o’clock, the hours and minute turn around a sapphire hour ring with a base of gold. Five indexed screws hold everything together. Another first by the brand, this method calls to mind the existing armoury system and adapted by the brand’s technical teams. The Grande Seconde Skelet-One, equipped with a silicon double barrel, balance spring and pallet lugs, features a hand-assembled Caliber 2663 SQ. 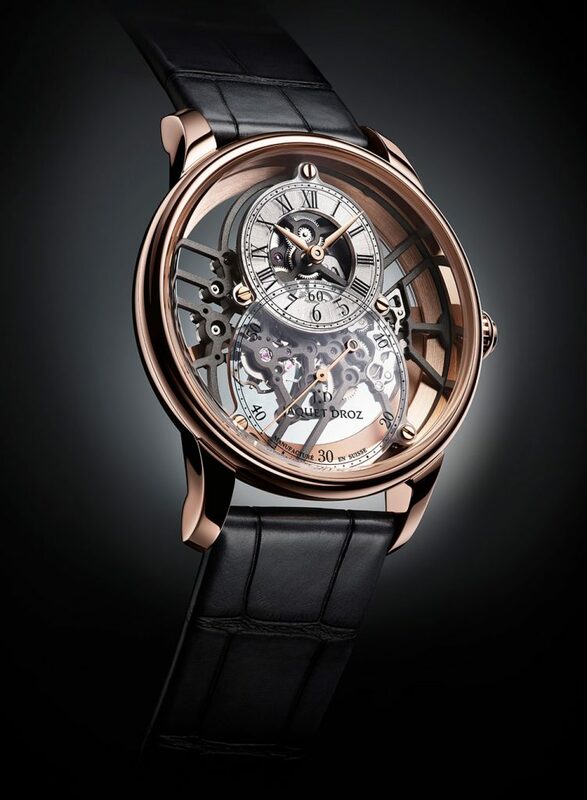 It is the first to reveal the mechanical choreography beating at the heart of the Grande Seconde. The Grande Seconde Skelet-One, with a diameter of 41 mm, comes in three interpretations: red gold, white gold and ceramic with the latter version having a slightly larger diameter than the gold versions and a bit thicker. Final thoughts: Again, what we find interesting about the new timepiece is that it is totally its own creature, in a sense. 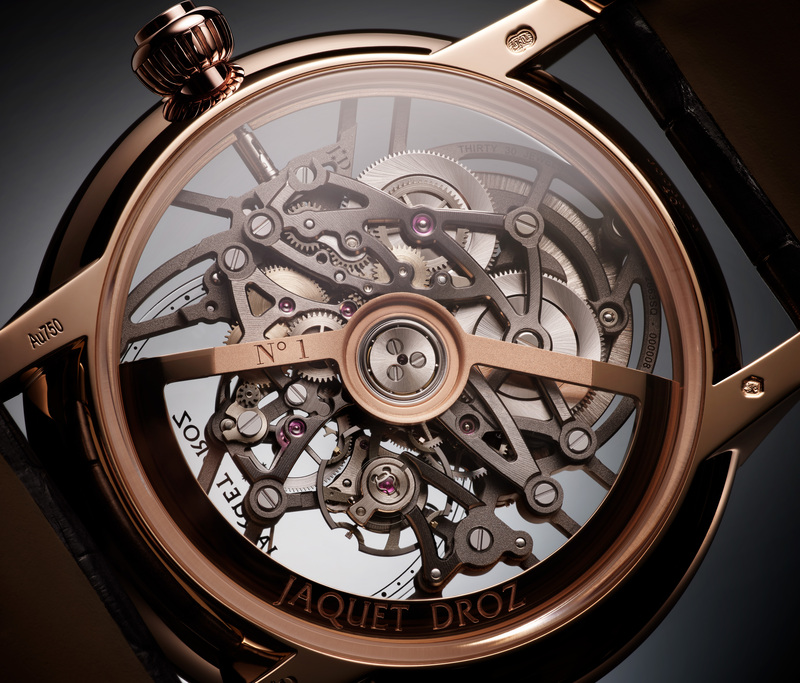 Clearly retaining the unique DNA of Jaquet Droz, it is an interesting departure from the usual. Collectors and even new aficionados will have no choice but to sit up and take notice of this handsome timepiece.